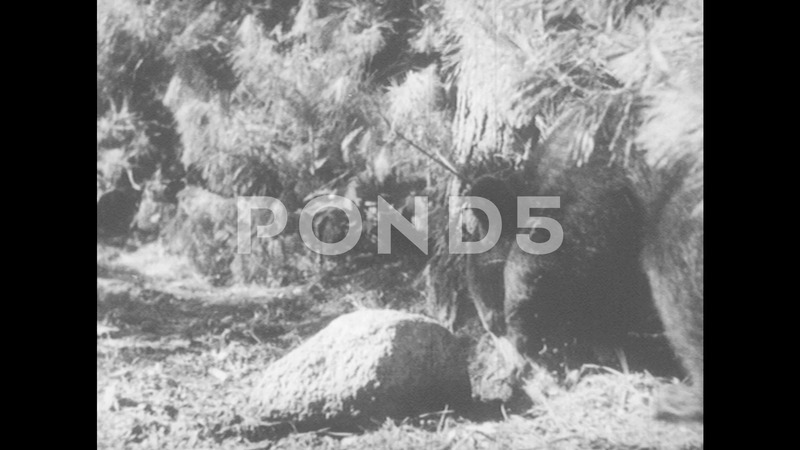 1950S: Black Bear Cub Is Digging Around A Large Rock, Finds A Bug And Eats It. Description: 1950s: Black Bear Cub Is Digging Around A Large Rock, Finds A Bug And Eats It. Bear Cub Walks Up To Log Where Another Cub Is Eating.